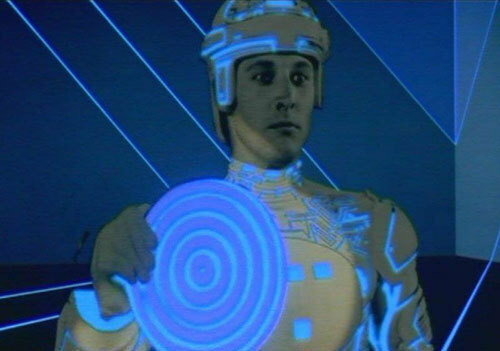 When I told my friend Frank about the 1982 cult classic Tron, it took me over 1200 words to explain the story. 1200 words is a lot of words! Some might argue that is too many words! 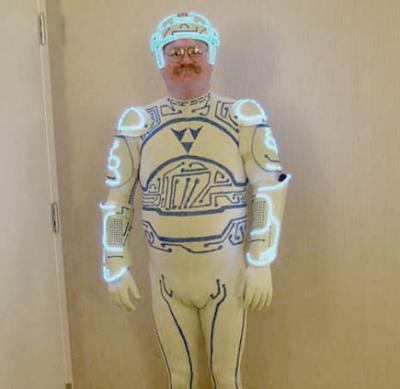 So first off, the first shot of Tron? I guess the Wachowski Brothers didn’t just rip off your favorite French philosophers when they made The Matrix — we zoom through the title into code and hardware renderings, which then dissolve to good ol’ Flynn’s Arcade, your friendly neighborhood 1980s-era video game haberdashery. There, an unseen player is rocking a lightcycle video game — which we then zoom inside!